Pickup from Railway Station/ airport. Check in at the hotel. Afternoon depart for local sightseeing of Bangalore visiting the Cubon Park, Lalbaug, Bull Temple, Vidhan Soudha & High Court, Evening will be at your leisure. Overnight at the hotel. After Breakfast leave for Mysore Approx. 110 Kms/ 3 Hrs. Hrs. Evening visit the Brindavan garden to witness the musical fountain show. Overnight at the hotel. Morning depart for half-day excursion to Srirangapatanam and visit Palace of Tipu sultan. Later in the afternoon visit the local sights in Mysore visiting the Mysore Palace, Chamundi Hill & the church. Afternoon depart for Ooty. 135 Kms – 3 Hrs. On the way visit Mudumalai Sanctuary. On arrival check in at the hotel. Overnight at the hotel. Morning you go for a half-day excursion of Coonor. Visit the local sights in Coonor & the Tea Gardens. Later in the afternoon visit Ooty Lake, Dodabetta Peak. Evning will be at your leisure. Overnight at the hotel. Morning depart for Kodaikanal by surface approx. 350 kms/8 hrs. arrive check inn at the hotel. Dinner & Night Hotel. Proceed for half Day sightseeing of Kodaikanal visiting Kurinji Temple, Coakers Walk, Silver Cascade Falls, Byrant Park, Pillar Rock & the Golf Course. 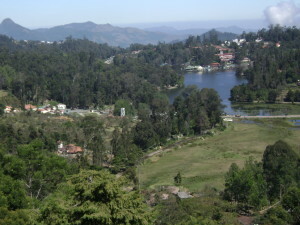 Evening at Leisure or enjoy boating in the Kodai Lake(on own). Overnight at the hotel.